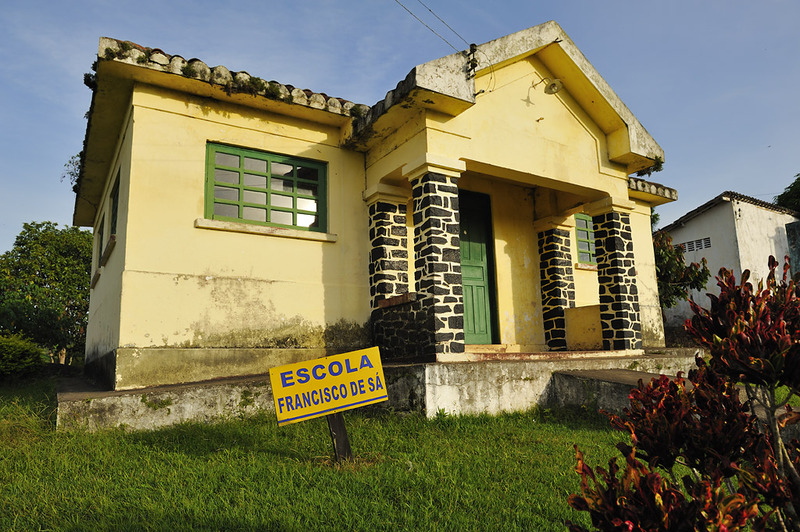 Cocoa has been grown in the south of Bahia, Brazil since the late 17th century. 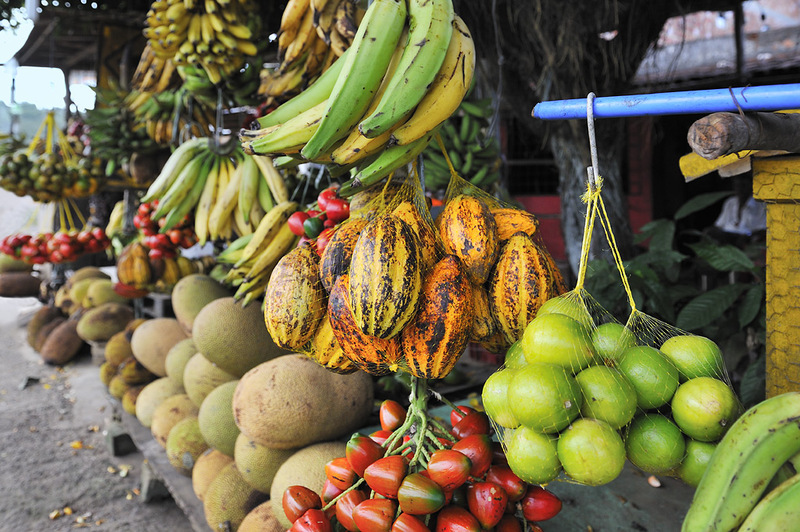 By the end of the 19th century, Brazil had become the largest cocoa producer in the world. Twenty years ago, however, production fell sharply and unexpectedly. Nevertheless cocoa still plays an important role in Brazil and Bahia remains the biggest Brazilian cocoa-producing state. Reason enough for me to visit a cocoa plantation in Bahia and take a closer look at how cocoa is grown and processed! Why don't you join me? 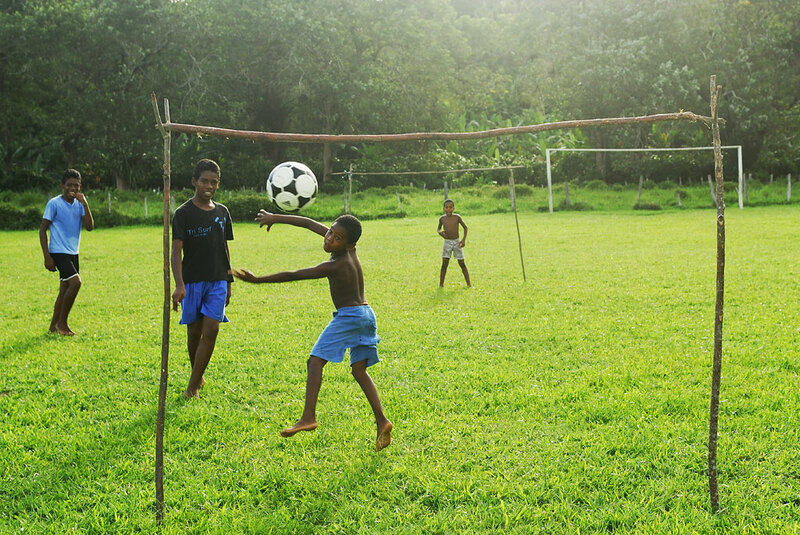 Travelling in a country the size of Brazil changes one's perception of distance and dimention. 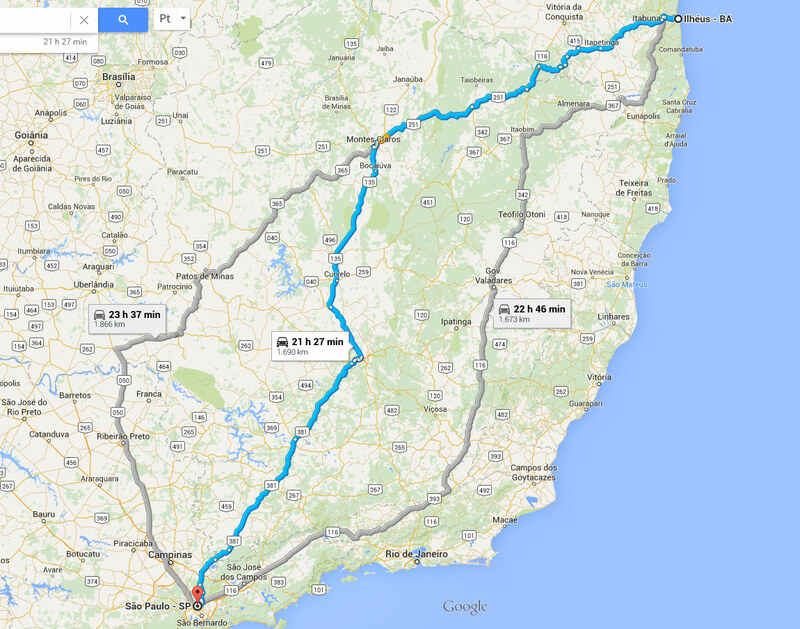 So, without hestitating, I decided to drive the relatively short distance of 1,800 km from São Paulo to Itabúna in southern Bahia by car. I had allowed two full days of driving for this. 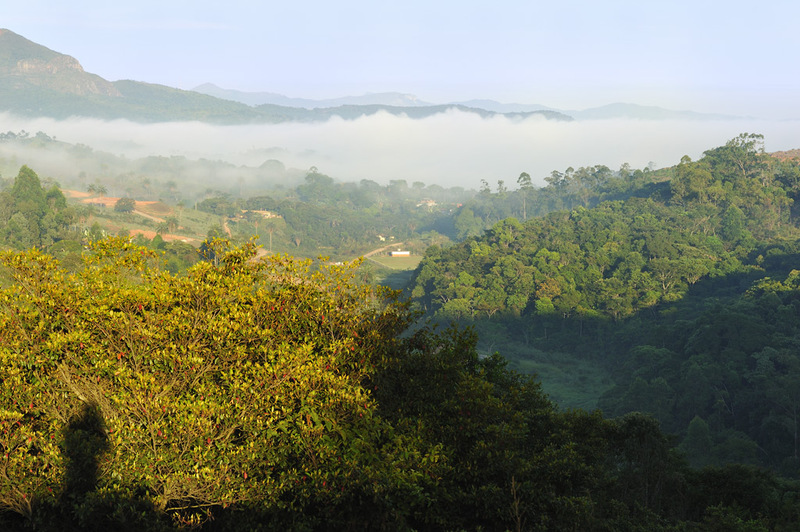 Large parts of the route lead through beautiful, green, sprawling, blossoming, landscapes. The roads are quite dangerous in parts, riddled with potholes of varying size and depth. Crazy truck drivers also present a hazard, especially in the dark. 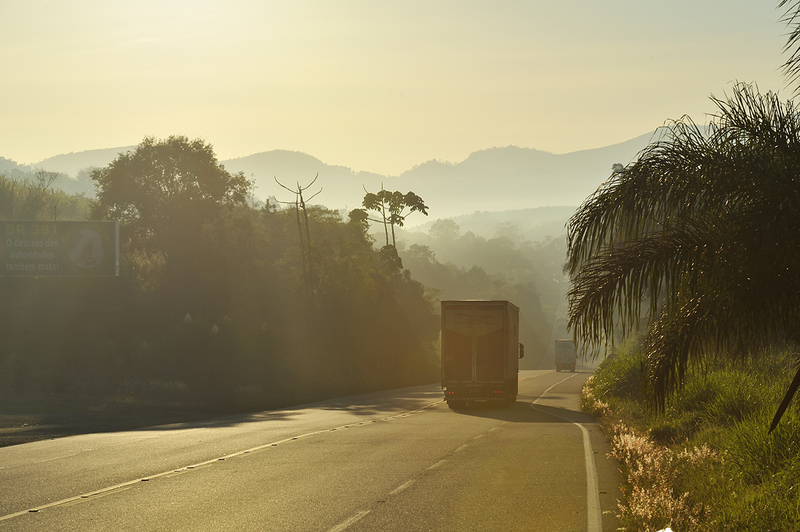 Since the largest part of the route is via single-lane country roads, I also had to contend with the presence of heavy trucks, making overtaking manoueuvres well-nigh impossible and adding a few more hours onto the journey time. 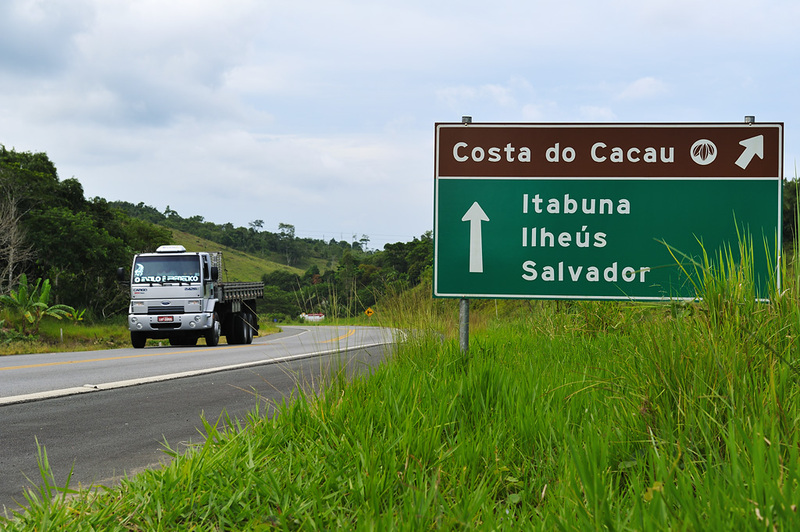 Eventually, about 100km from Ilhéus, there are increasing indications that we are finally entering cocoa country: a road-side advertisement for homemade chocolate (chocolate caseiro), a service station named „Cacau“, the first cocoa pods at a market stall and eventually the first cocoa street vendor. A short time later, I took the exit to the Cocoa Coast! 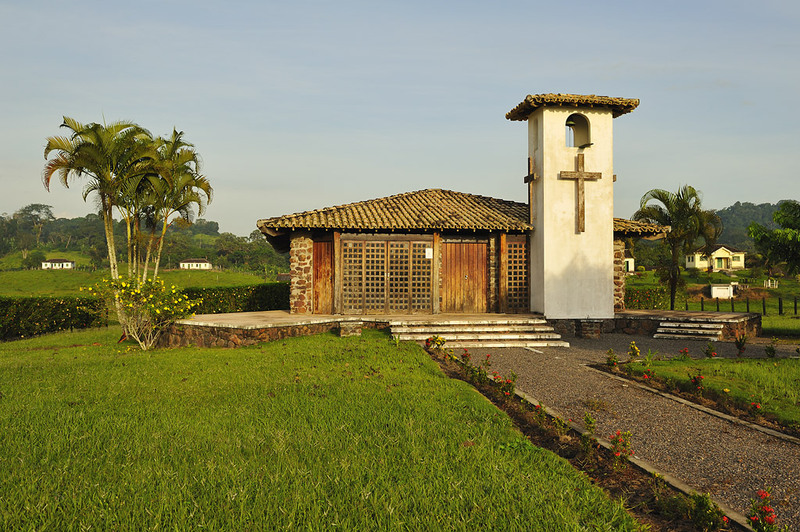 The Fazenda Boa Sentença is located near the city of Itabúna, in the very heart of the cocoa-growing region in southern Bahia. 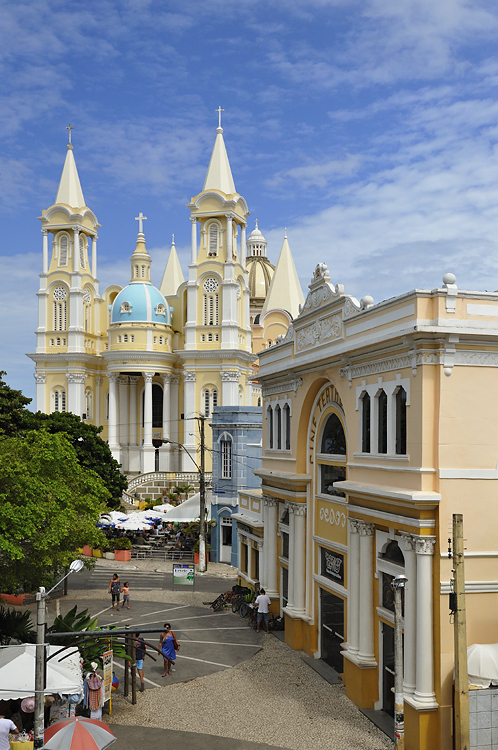 The route runs through the district Ferradas, the birthplace of the famous writer Jorge Amado. 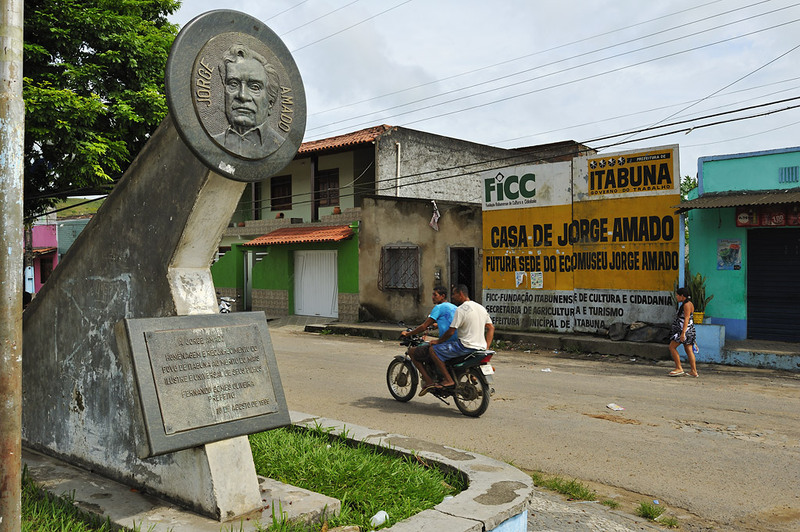 There the city of Itabúna has erected a monument to him - he finally has, among others, written five novels on the subject of cocoa, including one of his most famous, the novel Cacau. 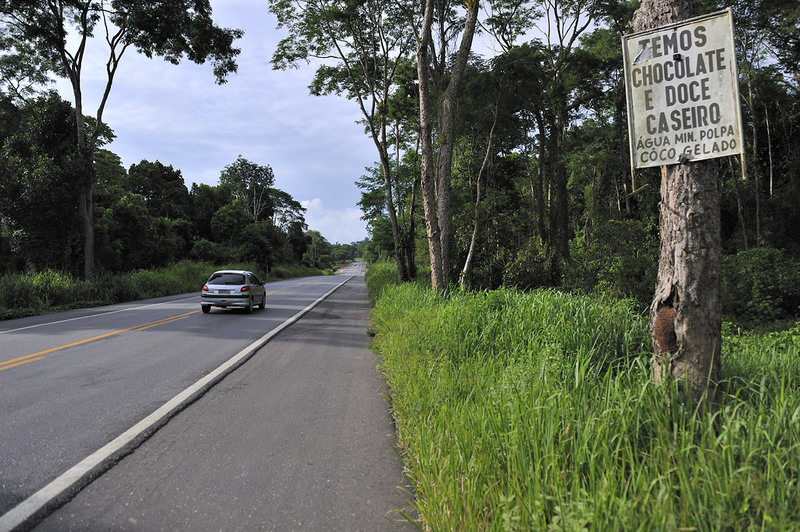 The cocoa farm is located about 10 km further away from Ferradas and is to reach only through a bumpy dirt road. Manuel is an experienced barcaçeiro. 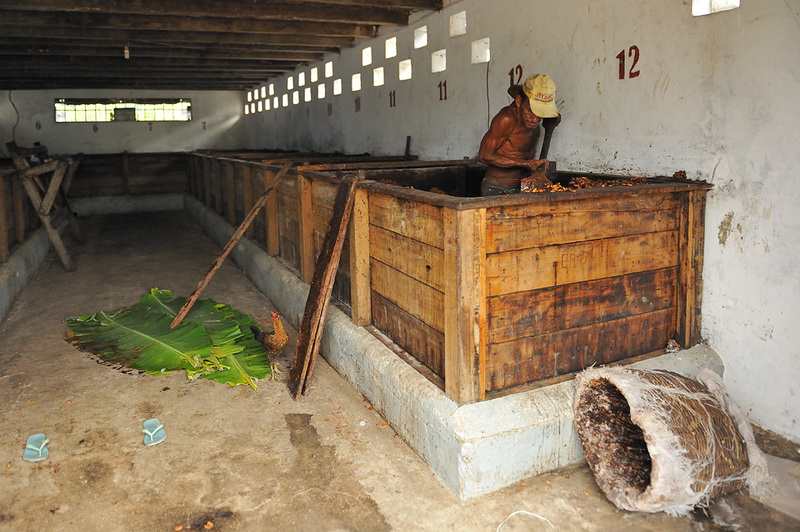 A barcaçeiro is responsible for making sure the cocoa seeds ferment in their pulp and dry well. During fermentation, tanin is released from the beans and biochemical processes cause the temperature in the tanks to rise, sending an intense, sweet-sour smell throughout the room and into the hot, humid, tropical climate. Throughout the fermentation process, Manuel stands three to four times in the middle of this warm, sticky, muddy mixture and restacks and moves the heavy layers of cocoa seeds back and forth between the tanks. This prevents mould growth on the cocoa seeds. "In time you get used to the smell, I don't smell it anymore. ", he says, and his wiry, well-trained body reflects years of hard labour. 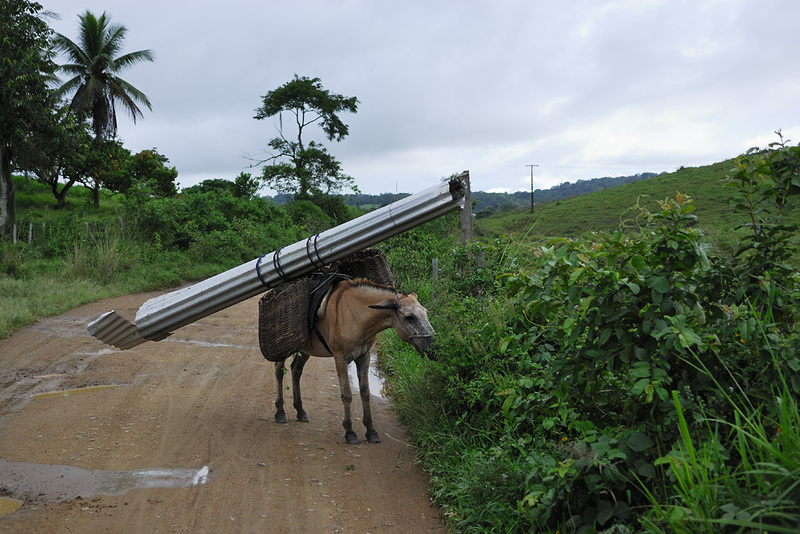 Manuel is one of 80 workers, all of whom live in small houses on the farm. The roofs of the houses are the so-called 'barcaças' (drying areas) - hence Manuel's job title - where the cocoa beans are dried in the sun. The "barcaças" are literally rooftops mounted on rails and are retractable. Every evening and whenever it rains, Manuel and the other barcaçeiros pull the roofs closed again. 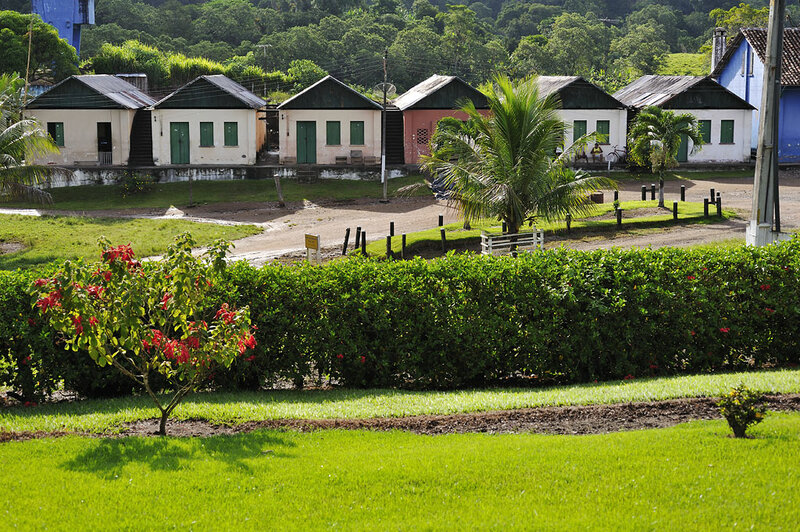 In addition to the houses with the "barcaça roofs" there are many other buildings on the farm complex: a church, a school, a barn, a stable and a well-kept football field. 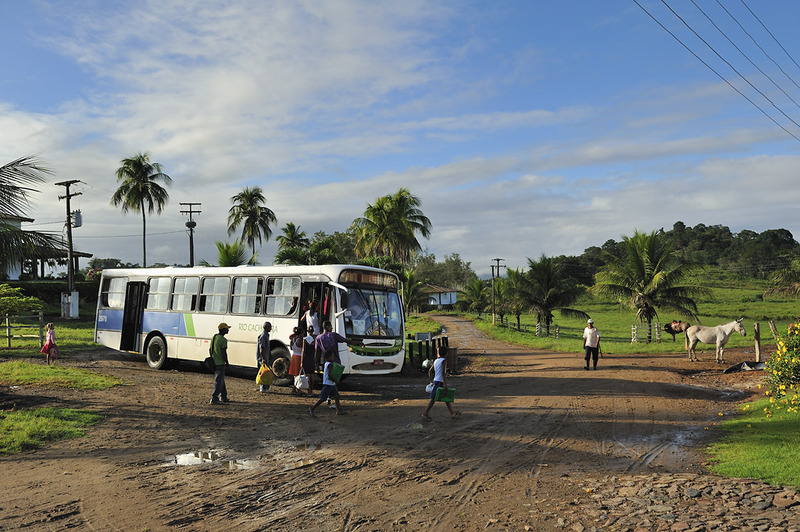 There is also a bus-stop in the middle of the farm, so people can get back and forth to Ferradas. 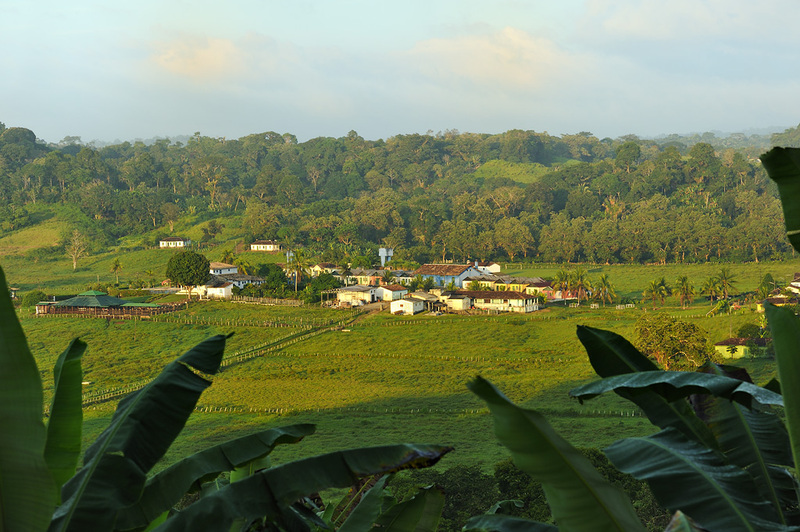 With a circumference of 14 kilometers, the plantation hugs the farm complex in the form of a horseshoe. From a distance the plantation is not recognizable as such. It looks more like an expanse of tropical rainforest. Cocoa plants require a lot of shade, which they obtain from a canopy of various species of trees and a large number of banana plants. 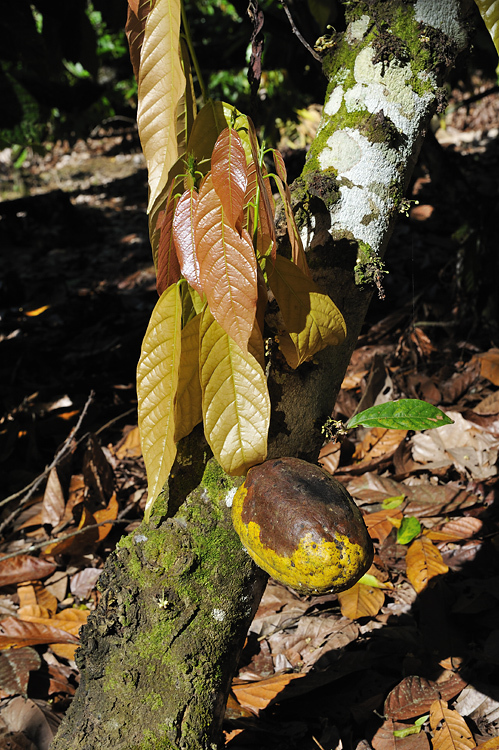 Although the cocoa plant is native to the Brazilian Amazon, its commercialisation dates from the 17th Century. The history of cocoa is over 3,000 years old. The first evidence of its enjoyment dates from the year 1100 BC and was found in food scraps on shards during excavation work in Honduras. 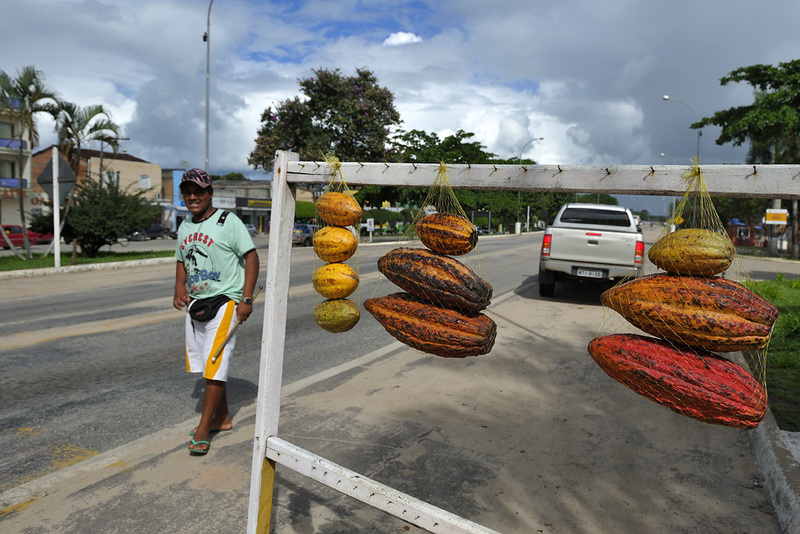 Cocoa ('periodo áureo do cacau') in Bahia. For the Mayans and Aztecs, cocoa was a sacred plant which symbolized the cycle of life; but it was also a means of payment as well as a drink of the Gods - the word cocoa is derived from the Aztec 'cacahuatl'. 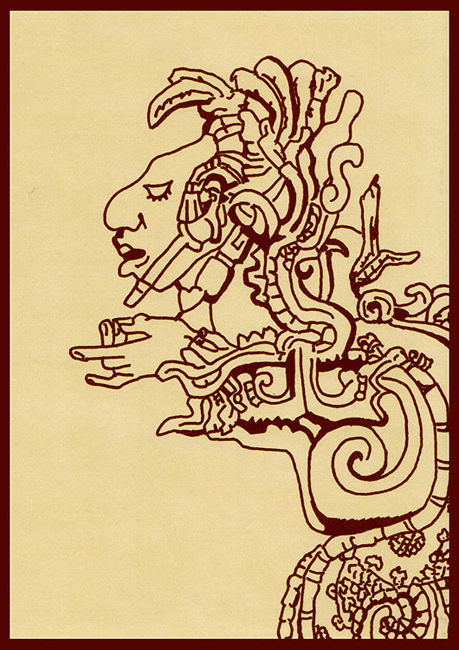 Their God, Quetzalcoatl, was a kind of patron saint of the cacao plant. One of their chocolate drinks was named after him: 'xocoatl' (~ bitter water). It was a mixture of cocoa, water, vanilla and pepper and gave its name to chocolate as we know it today. 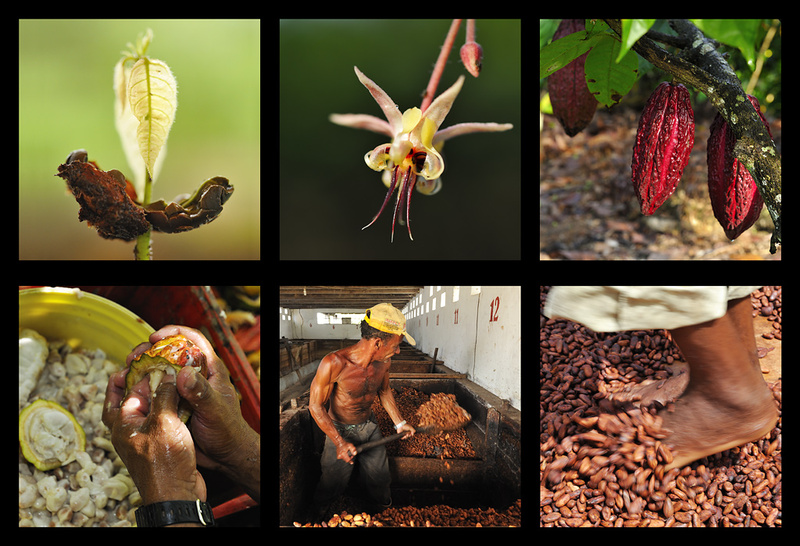 The seeds of the cocoa plant were first introduced to southern Bahia in the late 17th Century: climate and soil both offered ideal conditions for its commercial cultivation. By the mid-18th Century, cocoa had become a symbol of the wealth and power of the cocoa barons, the so-called 'coroneis',who settled on large farms, or 'fazendas', near Ilhéus and Itabúna. Between 1896 to 1930, cocoa production increased by 400% and Brazil became the largest cocoa producer in the world. 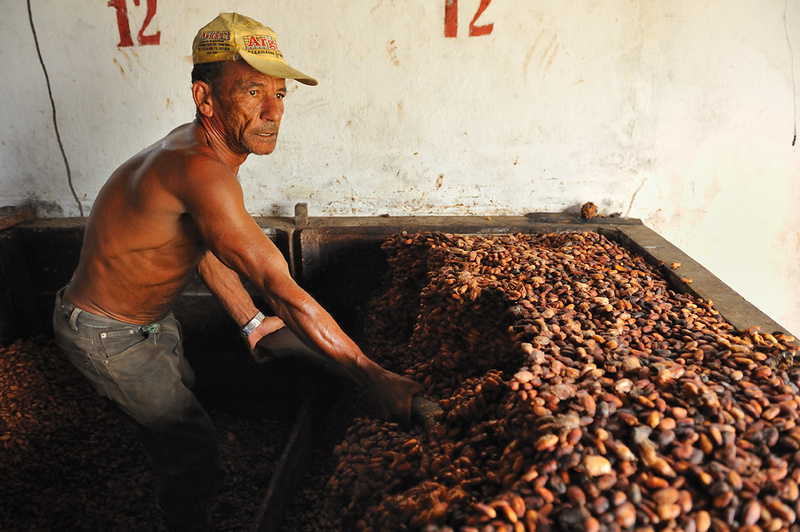 For a long time cocoa remained a very profitable business in the south of Bahia. Alas, about twenty years ago, cocoa production collapsed almost completely in southern Bahia. The main reason for this tragedy, apart from a sharp price decline due to the increased production of cocoa in Africa, was the massive infestation of the cocoa plants with a fungal disease called 'vassoura-de-bruxa' ("witches' broom" fungus). Over the years many stories and legends have emerged, telling of the sudden and surprising emergence of this pest in Bahia - including the theory that the disease was intentionally introduced into the region by malevolant foreign "powers"! Many cocoa growers were forced to abandon their farms, people lost their jobs and many even took their lives. Today, the region has still not completely recovered from this plague. But practice has shown that a good part of the produce obtained in the Golden Age can still be acheived today but only through a change in working methods and attitudes. 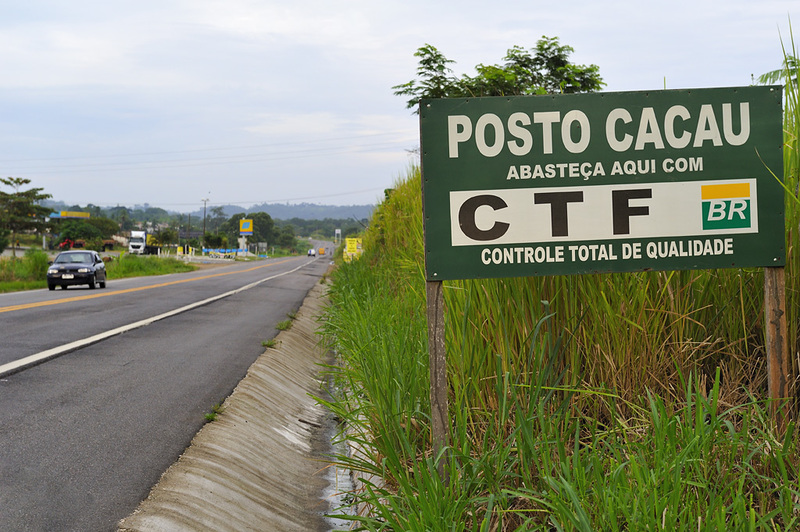 The 'Fazenda Boa Sentença' offers a positive example of how the 'vassoura-de-bruxa' plague can be successfullly fought through perseverence and new methodology. 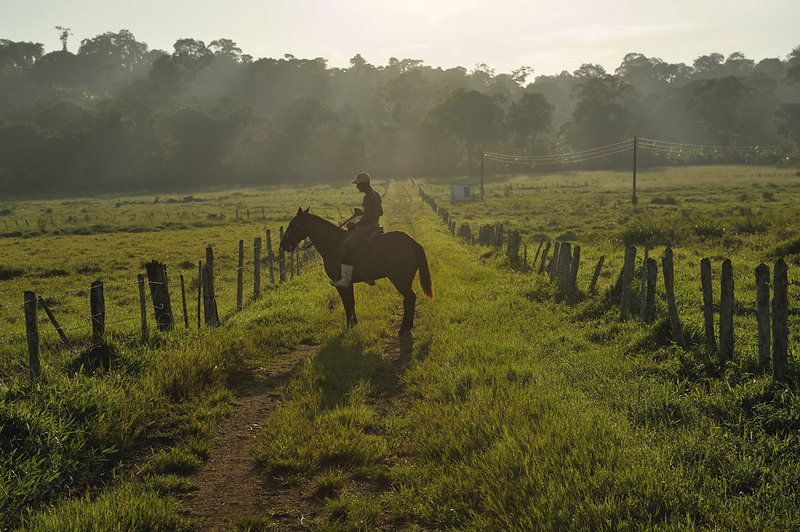 Manuel and his colleagues Osmundo, Roberto Carlos and Zé Roberto work tirelessly and with modern methods in order to ensure part of the former productivity of the farm.